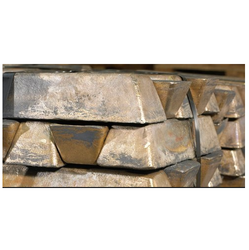 Owing to our rich experience and knowledge of this domain, we present our customers with the optimum quality of Gunmetal Ingots. G1/BC3: 88:10:2, G1/BC2: 88:4:8, LG-1: 88:3:9:5, LG-2: 85:5:5:5, LG-3: 86:7:5:2, LG-4: 88:7:2:3, BC-1: 82:3:10:5, BC-6: 85:5:5:5. With sincerity and hard work of professionals, we have carved a niche for ourselves in this domain by manufacturing Gun Metal Ingot. 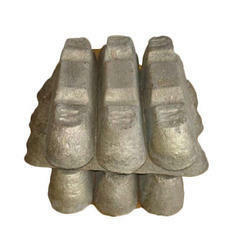 We are distinguished manufacturer and supplier of supreme grade Gun Metal Ingot. The offered ingot is suitable for soldering, electroplating. We are an unparalleled name in offering a wide gamut of Gun Metal Ingots.